The 100% fine wool Bnai Or Talit set boasts its trademark of delicately woven colors that has become synonym to its name, and has been an a top seller since its inception. 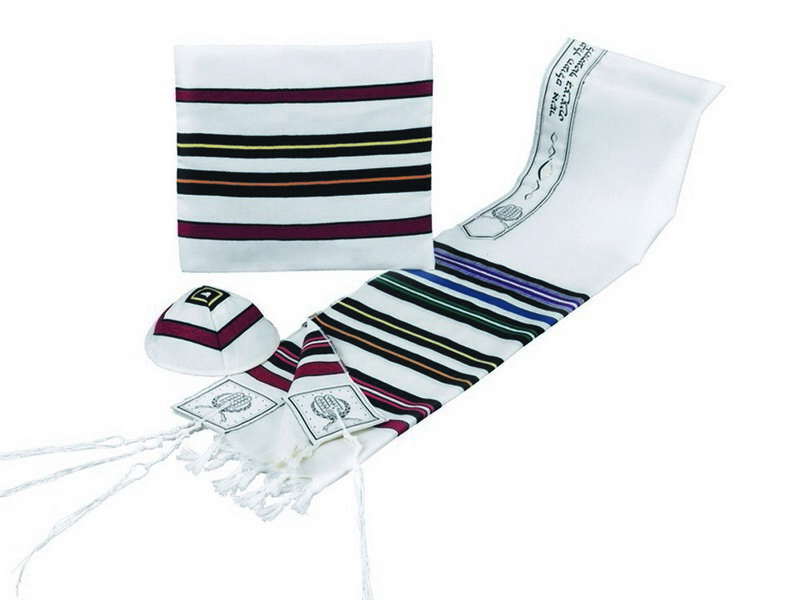 Available in its multicolored version and in different shades of colors, this tallit set is elegant and classy with a bit of modish taste to top it off. Includes an Atarah neckband with the Hebrew tallit blessing embroidered in an elegant font. All four corners are reinforced with an extra piece of decorative material. 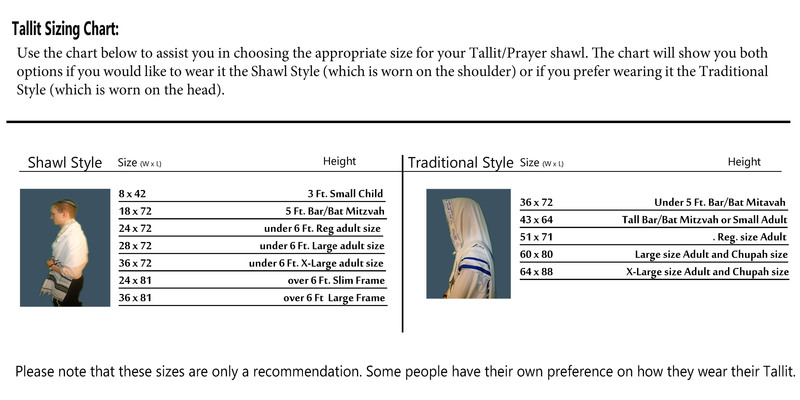 The Bnai Or Multicolored tallits are available in both shawl and traditional style sizes. The set includes matching tallit, and tallit bag (kippah is not included).